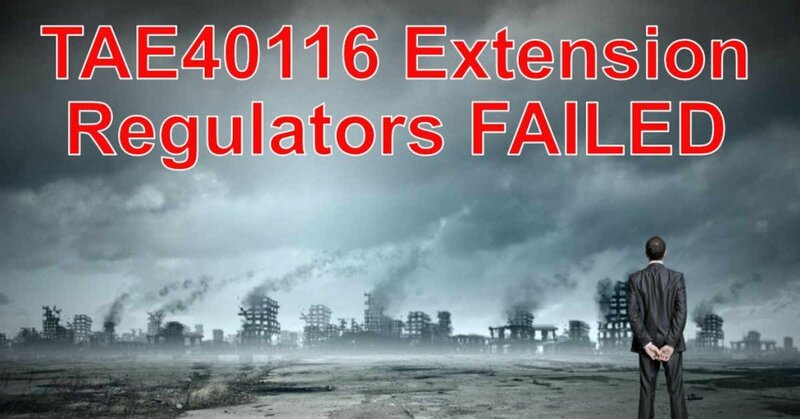 TAE40116 Extension - Our Regulatory Disaster! 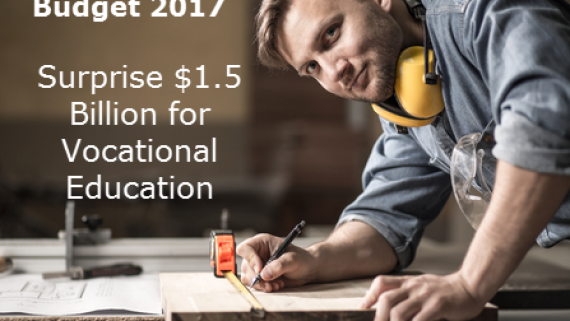 Well, it was no surprise to me when I received the Department of Education and Training memo outlining the extension to the requirements for Trainers and Assessors to June 30 2019. Many of you may know that I have been very vocal in my critique about the regulators handling of the transition and implementation of the new TAE40116. 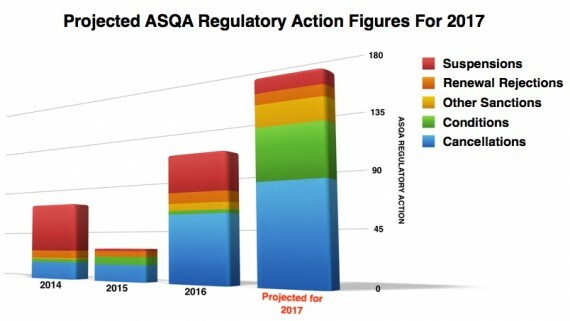 In my articles in May 2017, and Oct 2017 (The ASQA TAE40116 Disaster), I pointed to the regulator’s extremely negligent handling of the scoping process for TAE40116, and how this would have serious implications for meeting the April 2019 deadline for Trainers and Assessors to gain the new qualification. In April 2016 TAE40116 was released with a decision to not provide RTOs who held TAE40110 on scope the new Qualification. This would have been fine if the Government and Regulators had planned and resourced their departments, to ensure that they could satisfactorily process scope applications in a timely manner. Instead, we saw the worst handling of scoping applications I have ever seen in VET! 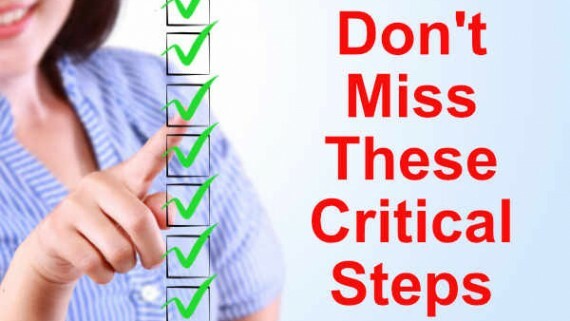 Make the application requirements so rigorous, that it takes many RTOs six to twelve months to prepare their application for submission to the regulator. After twelve months ASQA and other regulators had only processed/approved nine RTOs with TAE40116 addition to scope. Only allow an eighteen-month transition period for current learners, and three years for an estimated 130 000+ trainers to upgrade. The delays caused by the above meant ONLY 49 RTOs in Australia had TAE40116 on scope 18 months after the qualification being released (at the end of the transition period). That’s right, 500 RTOs reduced to 49 at the end of the transition period. Even now (3 years on) we only have around 100 RTOs who can deliver the qualification and they are swamped with enrolments and assessment submissions. 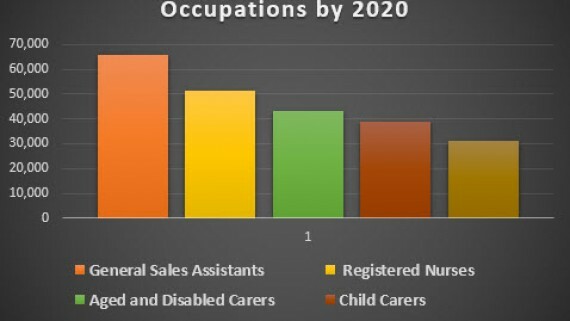 In my 2017 article, I also looked at NCVER stats for trainers and assessors going from TAE40110 to TAE40114 and noted that around 130 000+ trainers needed training/upgrading between 2011 and the transition deadline set by the regulator. I predicted that a similar number would need to transition by the new April 1, 2019, deadline. I also queried how on earth the small number of RTOs would be able to service this number of enrolments (49 RTOs halfway through the transition deadline, with just 100 by the end). Even if we had 100 RTOs with TAE40116 on scope for the whole three years (which we clearly haven’t), this would have meant approximately 1300 enrolments per RTO to be complete by the deadline. Many of the RTOs with scope are smaller RTOs, Regional RTOs, Community RTOs etc. and simply don’t have anywhere near this kind of capacity. With this kind of pressure put on RTOs, with limited staffing to assess the huge mountain of upgrades, what quality of assessment decisions do you think are happening? 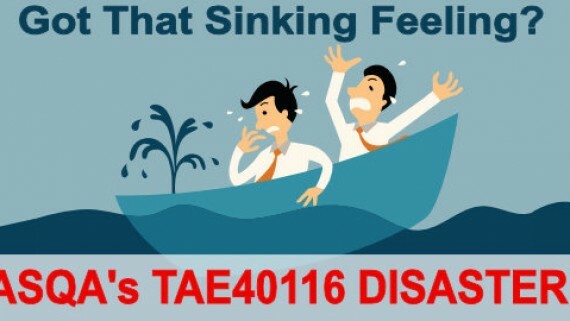 Will the TAE40116 implementation result in a better quality of trainer and assessors? Or a frantic rush to get applicants assessed by unrealistic, poorly executed deadlines? Do you think the Government and regulators did their due diligence when making these new mandates? Do you think they considered this obvious reality when resourcing their scope application and compliance departments? Was Quality considered when this knee jerk reaction was implemented? I think we can safely say that no one did their homework when these critical legislative changes were made. It is also evident that regulators did not consider HOW they should implement these changes to meet the legislated deadlines. Many are asking why they waited until the week before the deadline (March 31, 2019) to act? 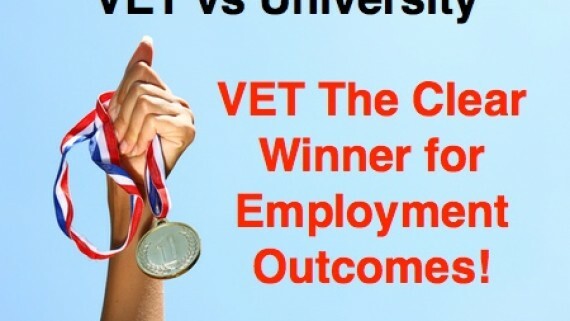 Why put the entire VET industry (RTOs, Trainers and Assessors and their Student Cohorts) through so much grief, only to backflip at the last minute. The writing has been on the wall since well before I wrote my article in 2017. Not providing adequate timeframes, and then waiting until the very last minute to adjust them shows absolute negligence at every point (Planning, Implementation, Management and Monitoring). The feedback has been clear from industry for a long time on this transition. I have also made complaints directly to ASQA in 2017. Around the same time, I also had ASQA comment on my Linkedin posts on this topic, (only to delete them later). Their comments said that everything was in hand. We can now say that was in no way true, and despite all this feedback, they failed to act. Complaints about regulators are first handled internally, and from my experience often take months and generally end up going nowhere. Unsurprisingly our regulators have very poor standards for handling their own complaints, and it seems that taking weeks to months to respond is apparently within their acceptable response times. Can you imagine if RTOs were to handle their complaints in the same manner? Would weeks to months for a response to a complaint be acceptable? I have often had to follow my complaints multiple times to even get a response. It seems very clear regulators have very stringent requirements for RTOs and very relaxed requirements for their own performance. If RTOs treated their students like this, they would be shut down. It is clear that regulators have failed to manage the biggest regulatory change to the Trainer and Assessor Qualification to date. Even with complaints on their process timeframes and concerns raised in public forums such as linked and others, we saw little or no action until the 11th hour. Only when it was apparent that there is no way the limited number of RTOs approved to deliver TAE40116 could cope with the demand. There is no excuse for this negligence, no one acted to address the issues that were being screamed from rooftops. Its time our Regulators were investigated for bringing this esteemed qualification, students and the RTOs who deliver it to their knees. Important Note: Many of the figures quoted in this article are estimations and/or projections. Some forecasts/estimations are based on training.gov.au and NCEVR historical data. Where it was not possible to access actual data or timeframes, the author has quoted numbers and timeframes from RTO accounts of their experience in adding TAE40116 to scope. The author has made their best efforts to provide accurate information, however, figures quoted in this article should be taken as indicative numbers only, and not quoted as being the actual figures.